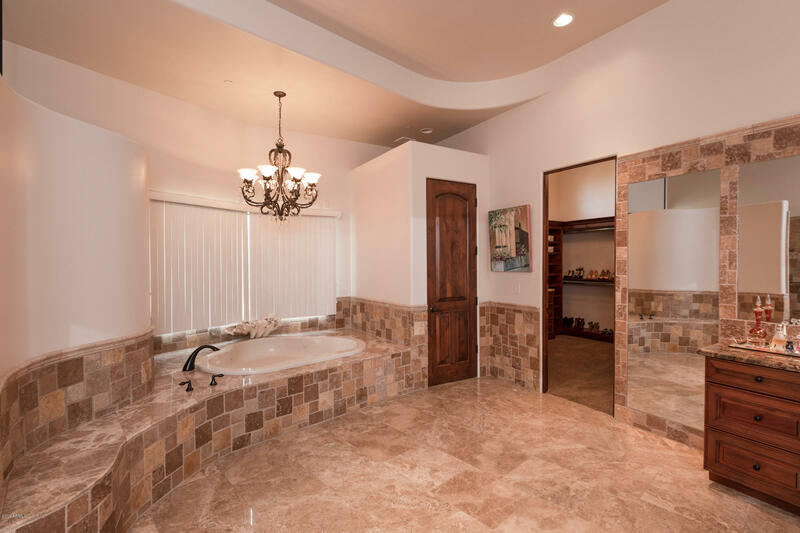 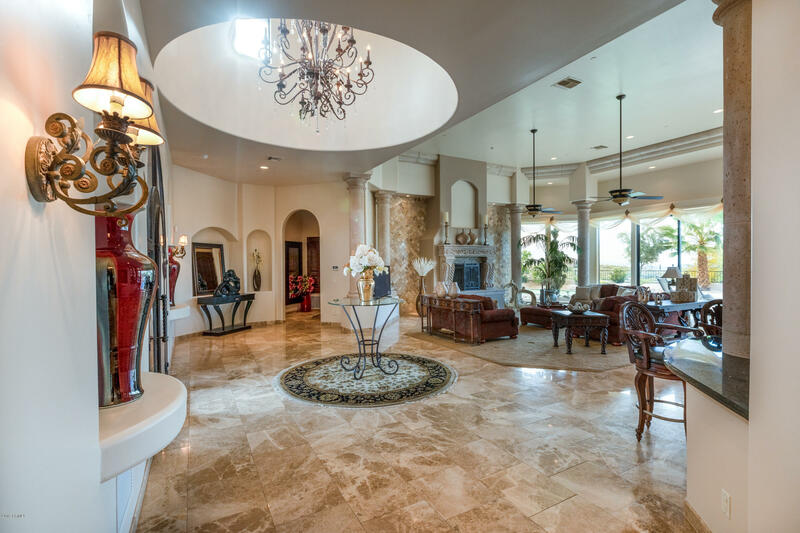 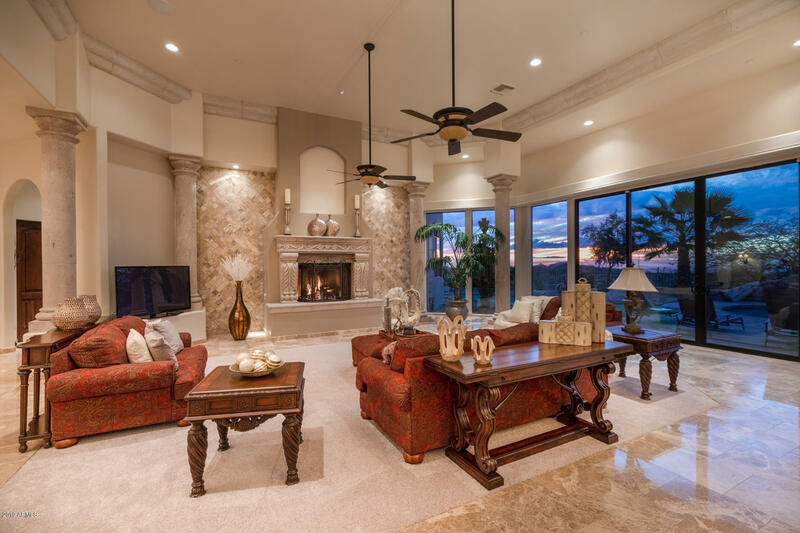 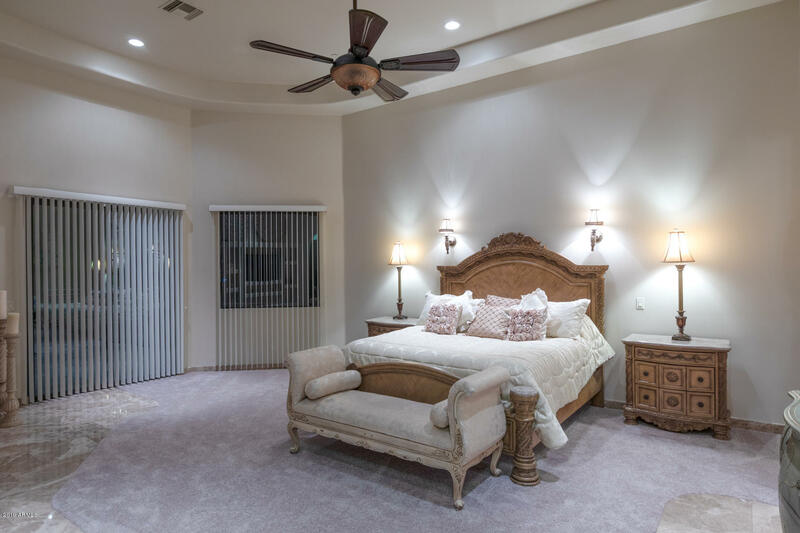 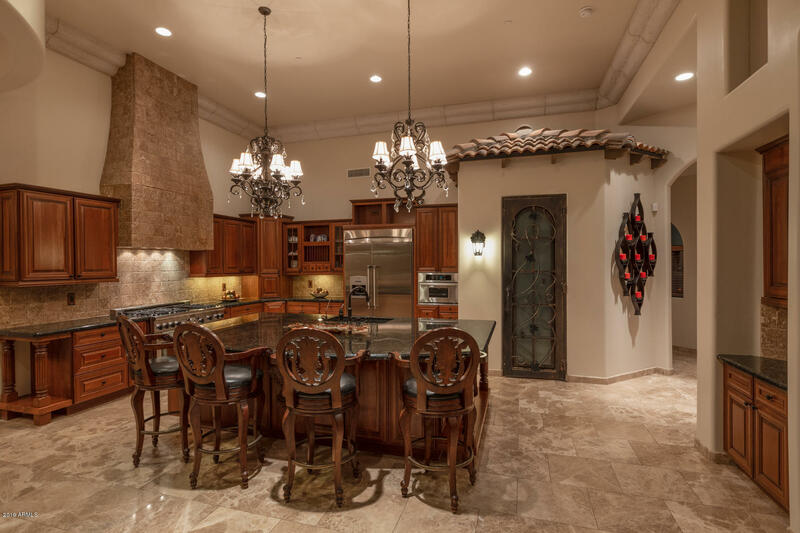 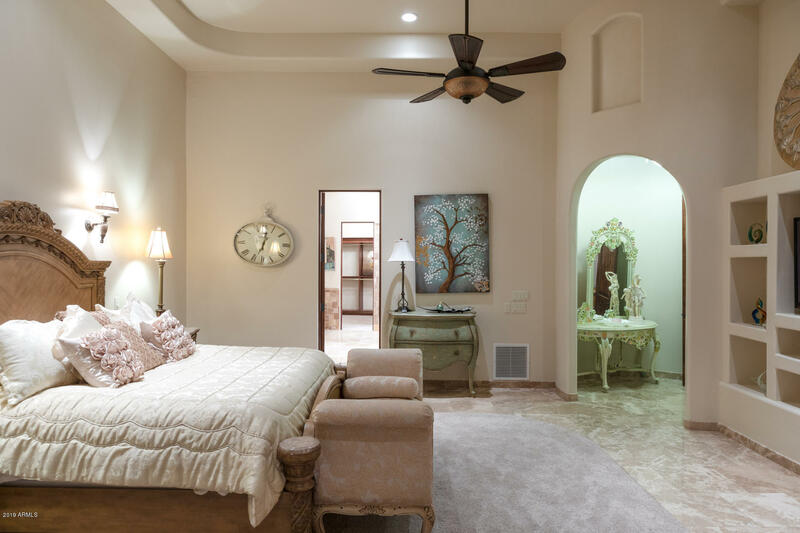 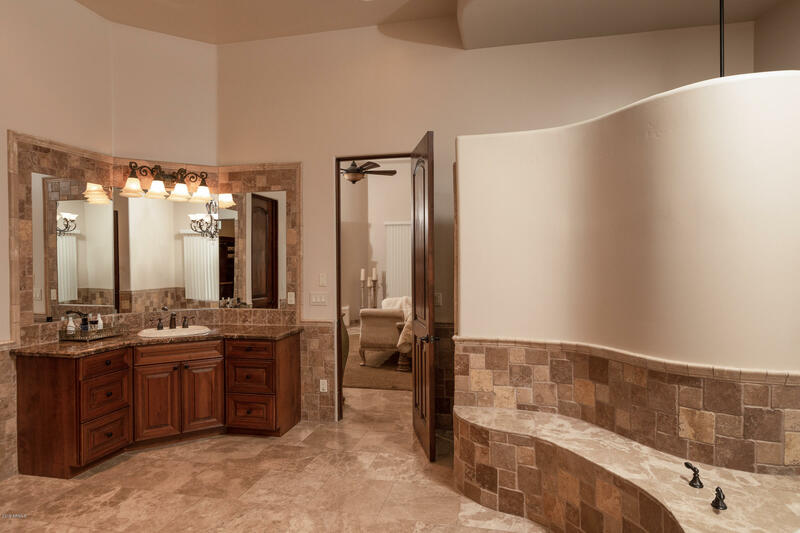 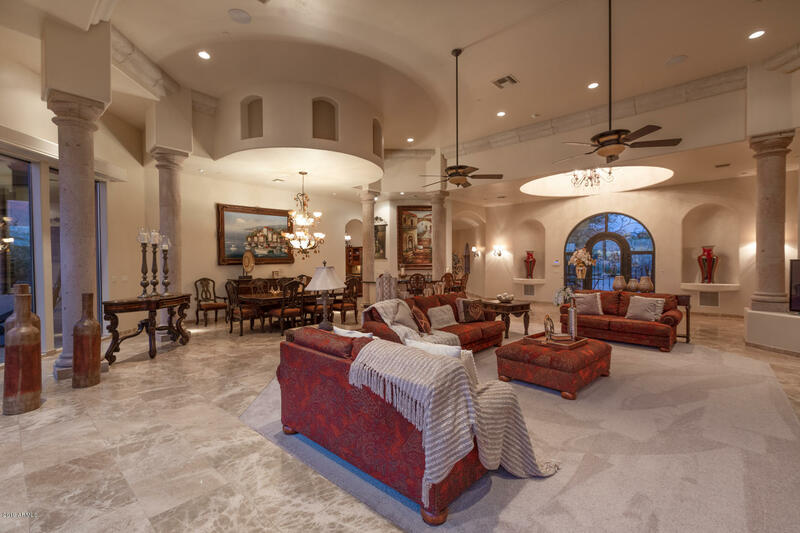 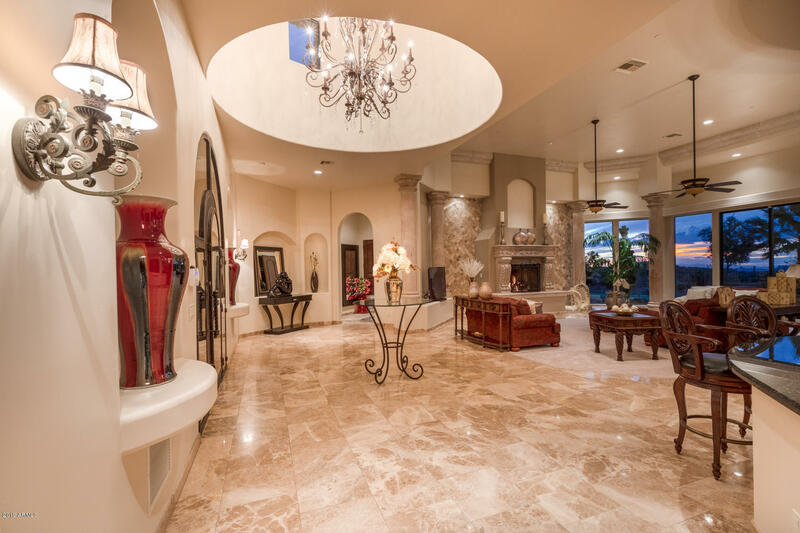 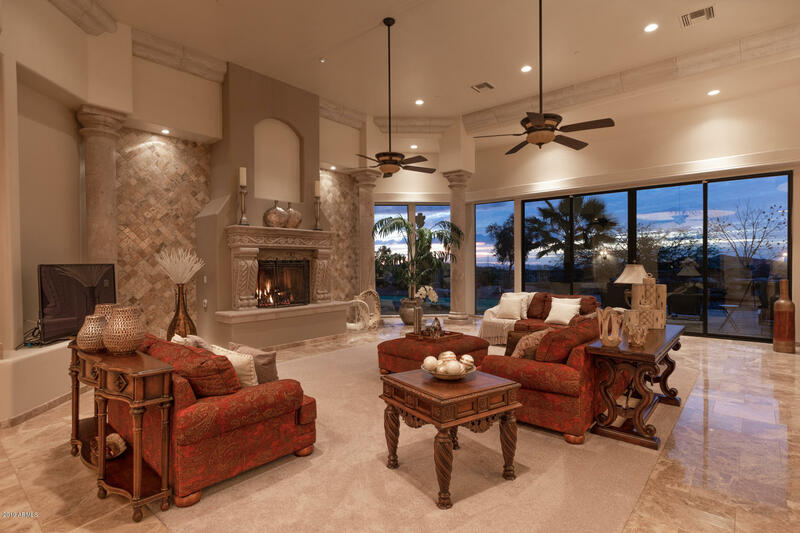 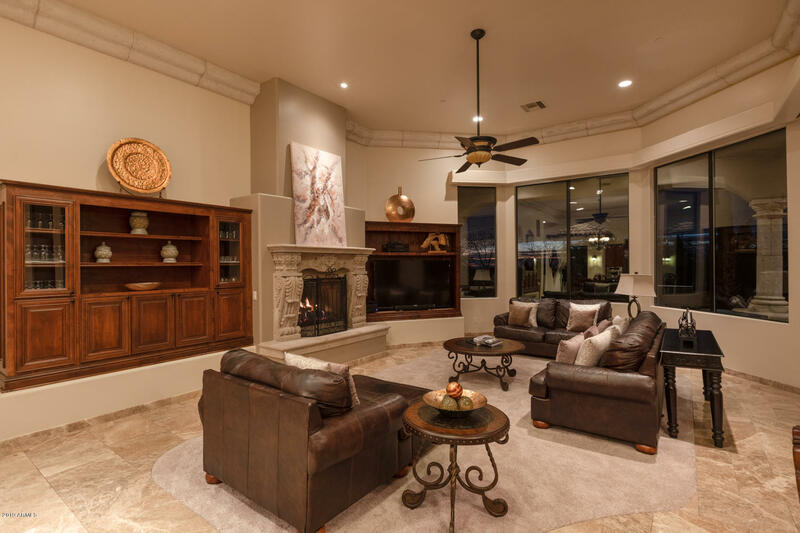 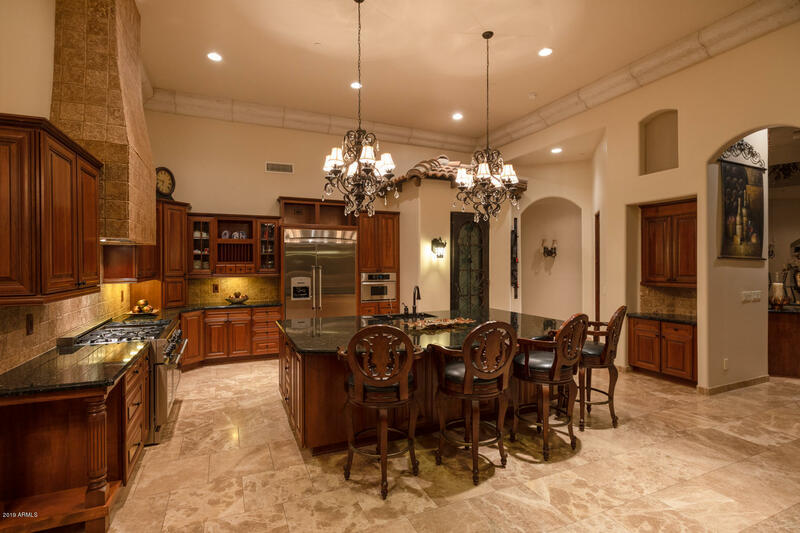 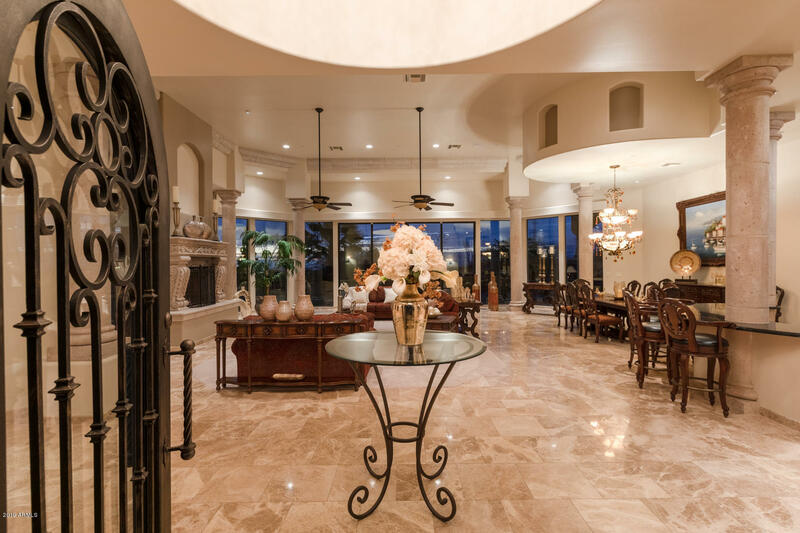 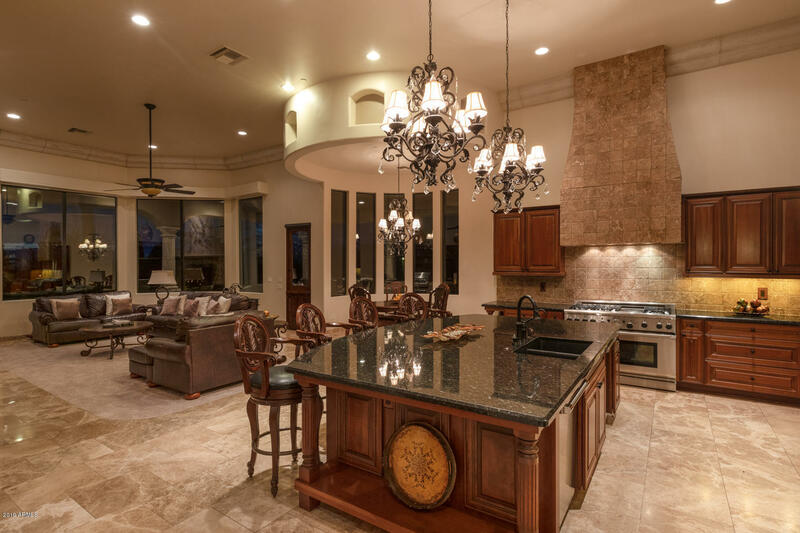 Experience Extraordinary Living in the Elegance of this Custom Family Estate, located in the prestigious Golf Community of Talus in Troon North. 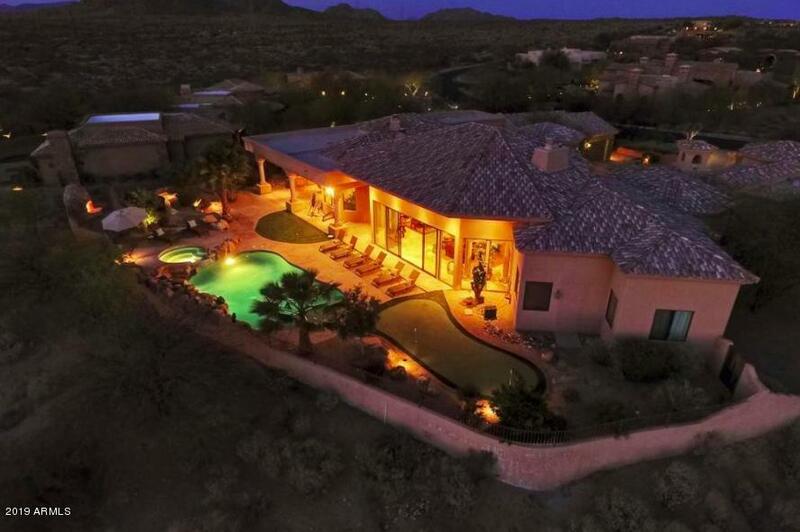 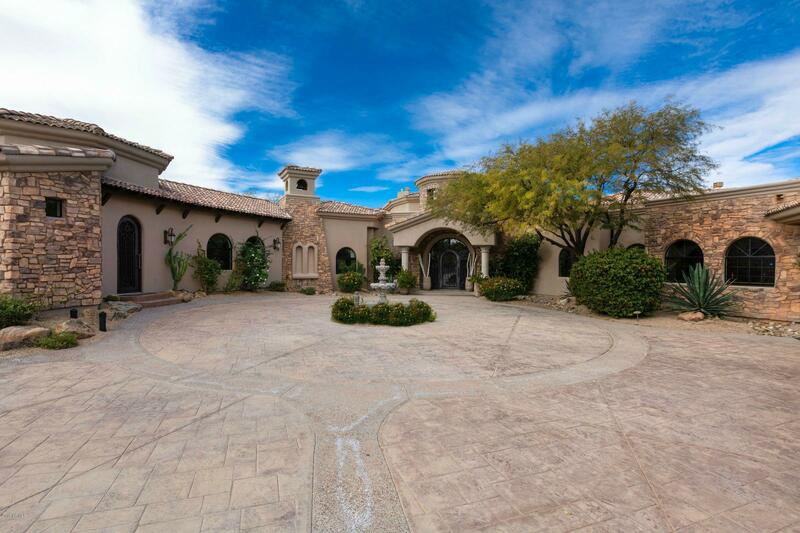 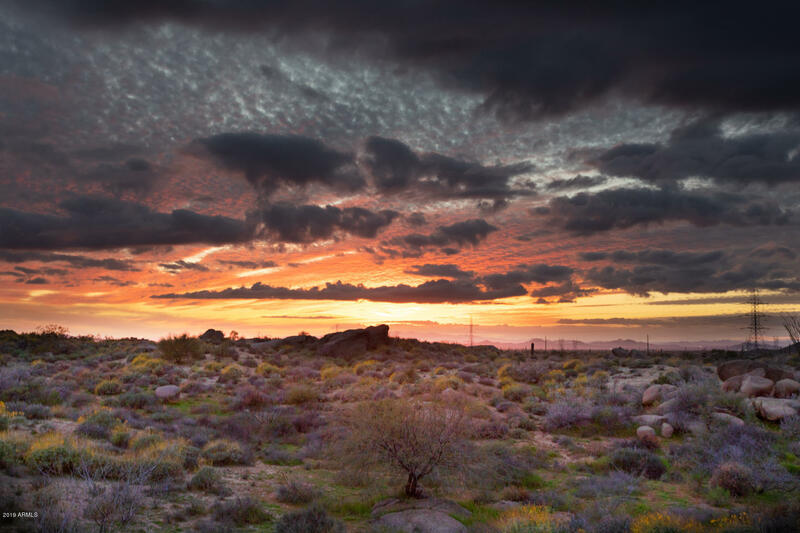 Enjoy 1.12 Acres of Pristine, Serene Desert Living. 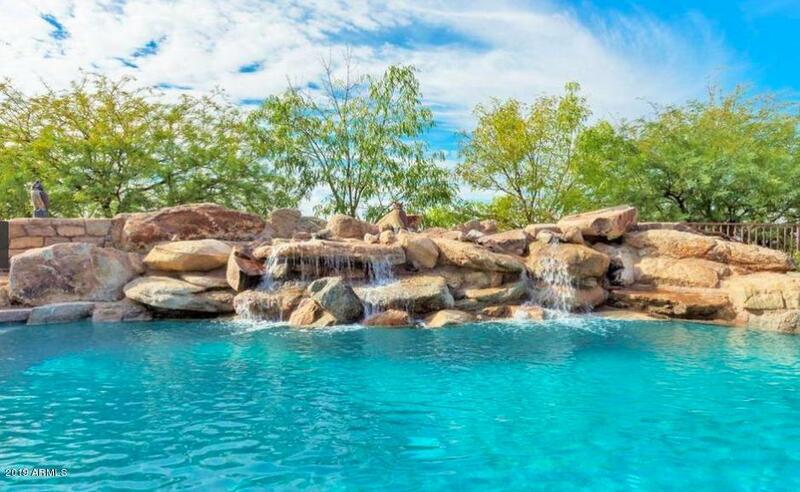 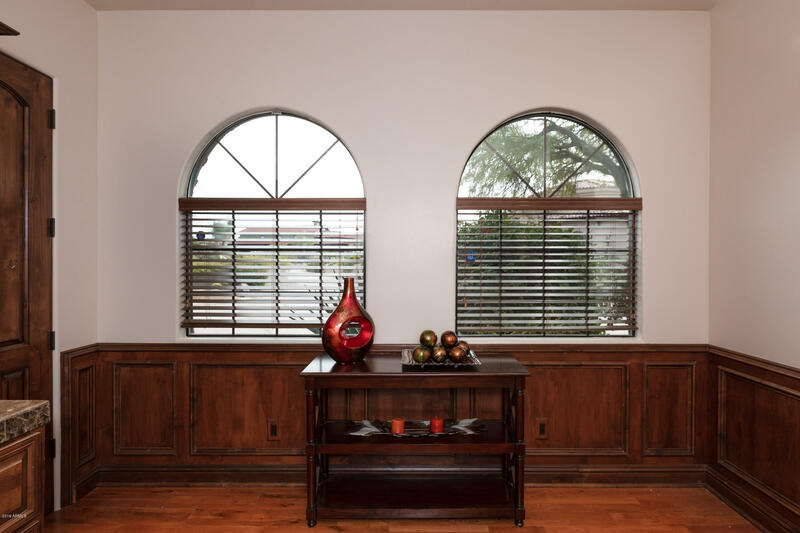 Enter a Private Courtyard through the Custom Wrought Iron Glass Door, to a Wall of Windows with Breathtaking Views of the Custom Waterfall, and Beyond to the Undisturbed Desert & Mountains. 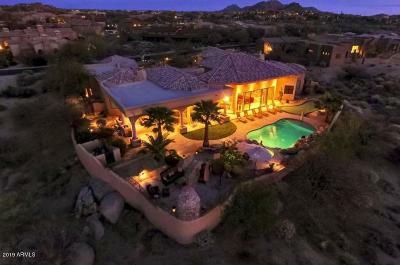 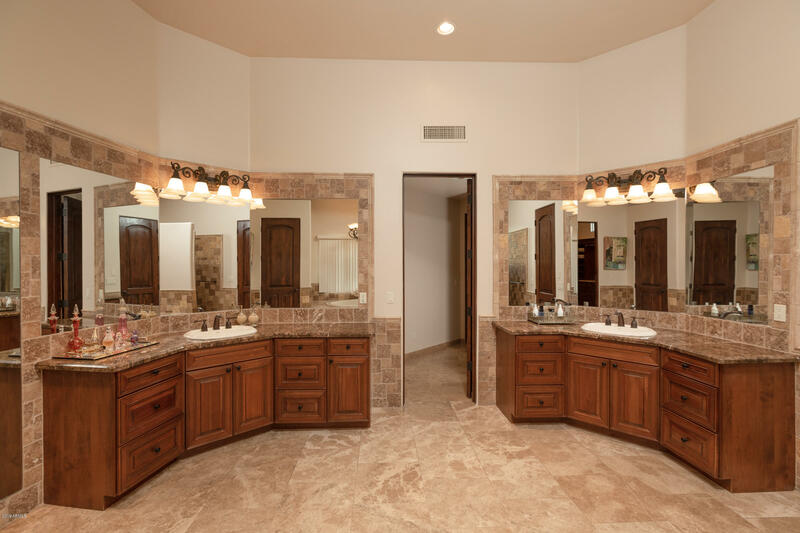 This 5 bedroom, 5.5 Bathroom Estate Home includes a Private Guest Casita that sleeps up to 6, and a 3-car Garage. 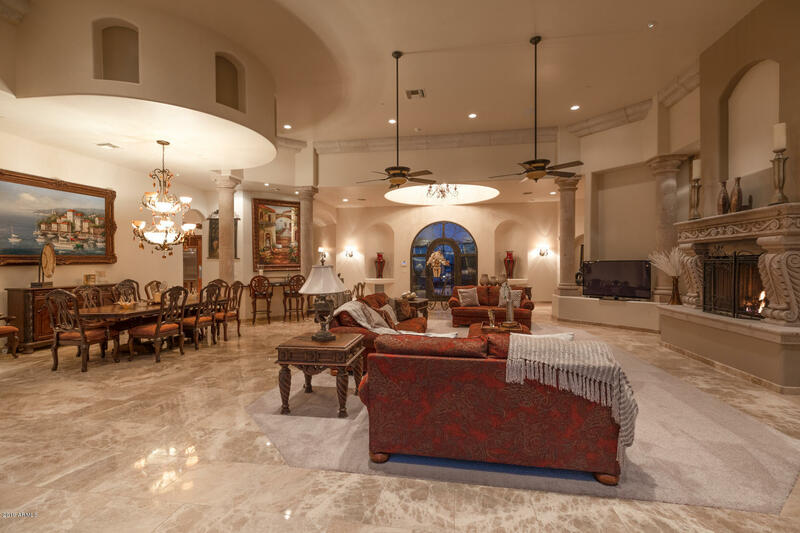 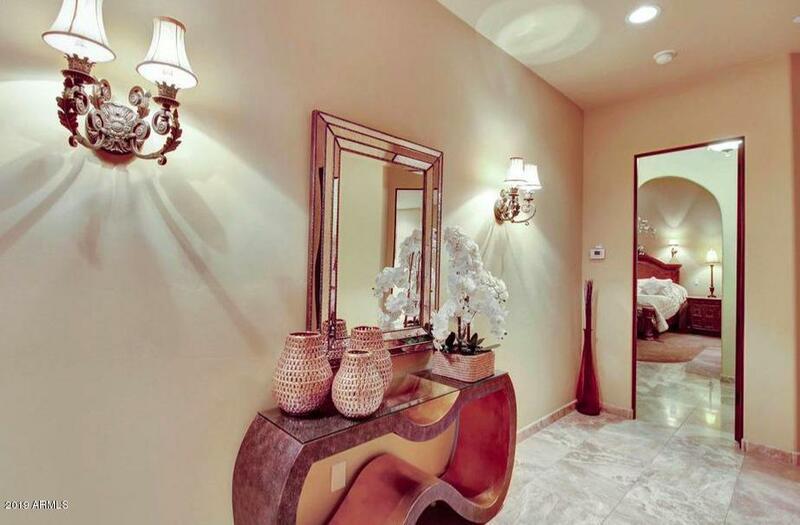 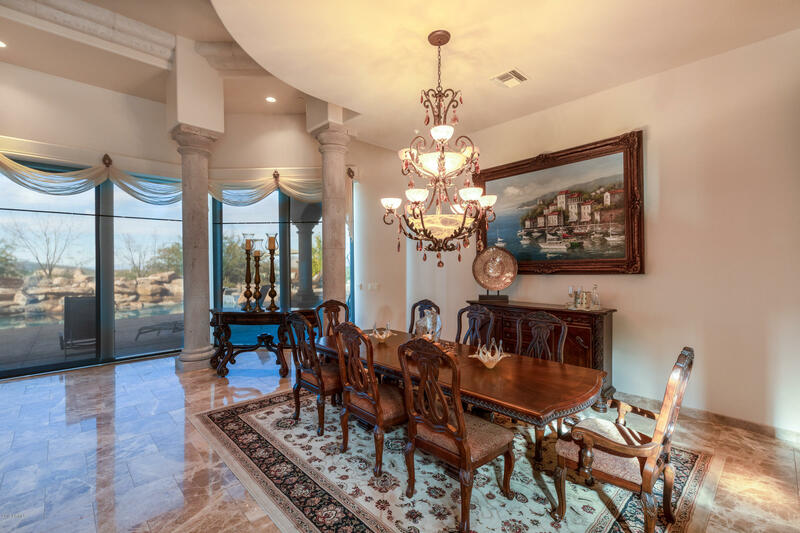 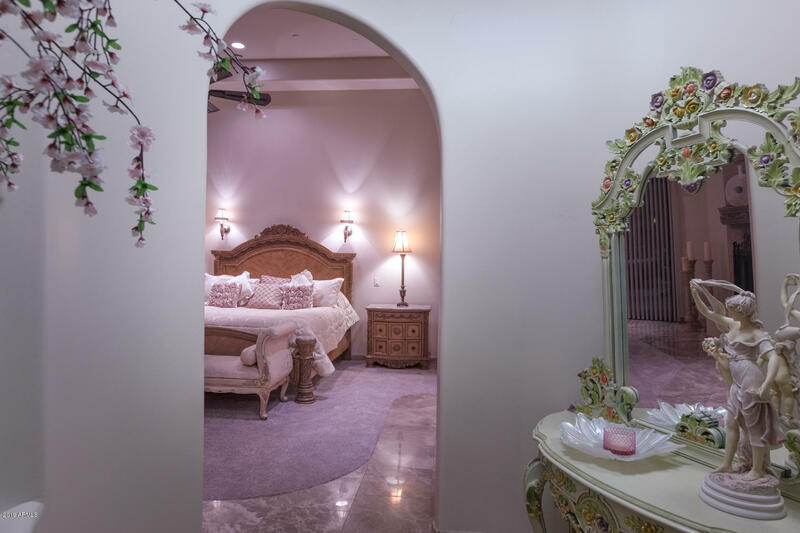 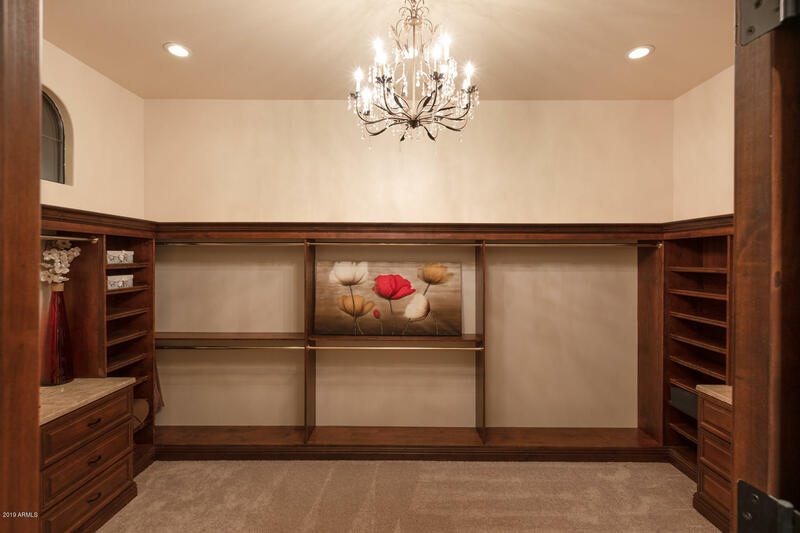 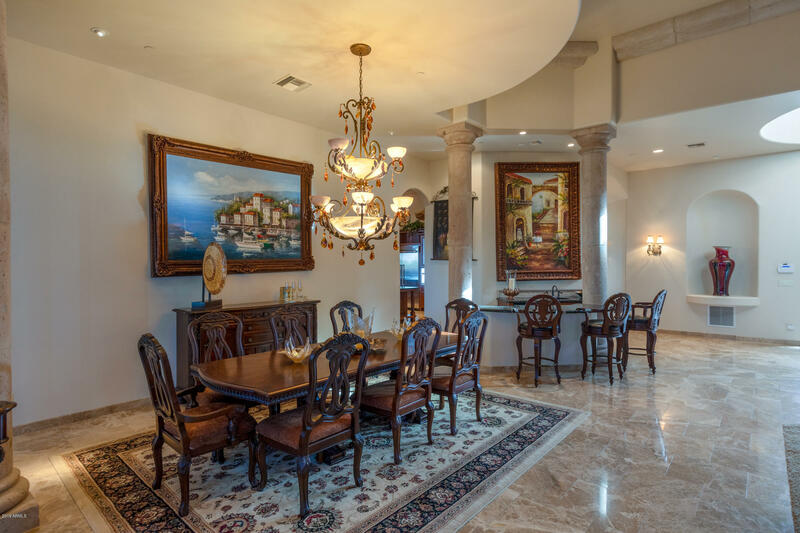 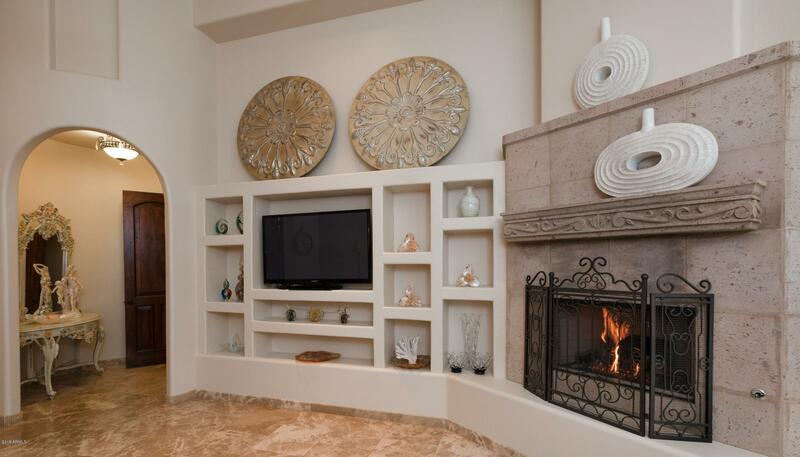 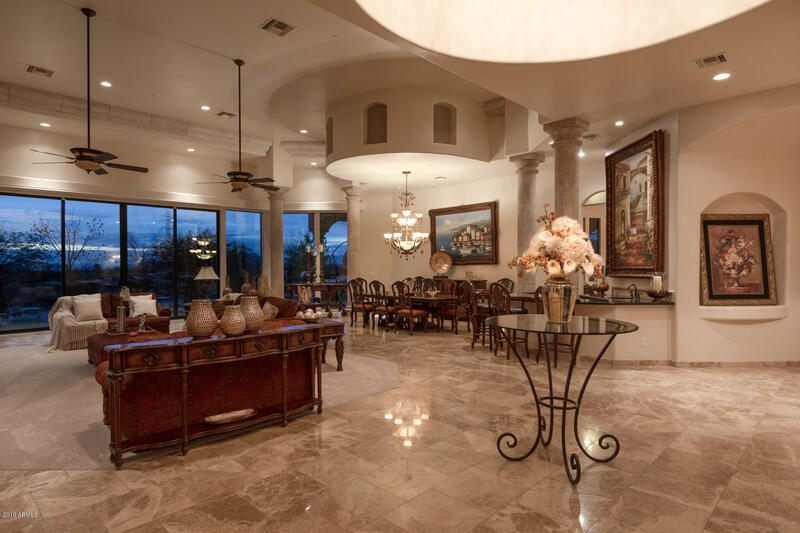 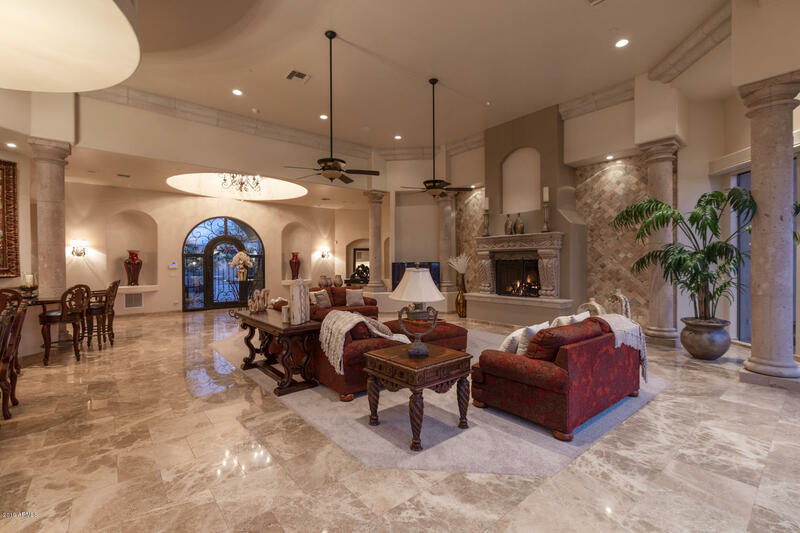 Open Living & Dining Room w/ Cantera Marble Fireplace, Roman Pillars & Granite Wet Bar. 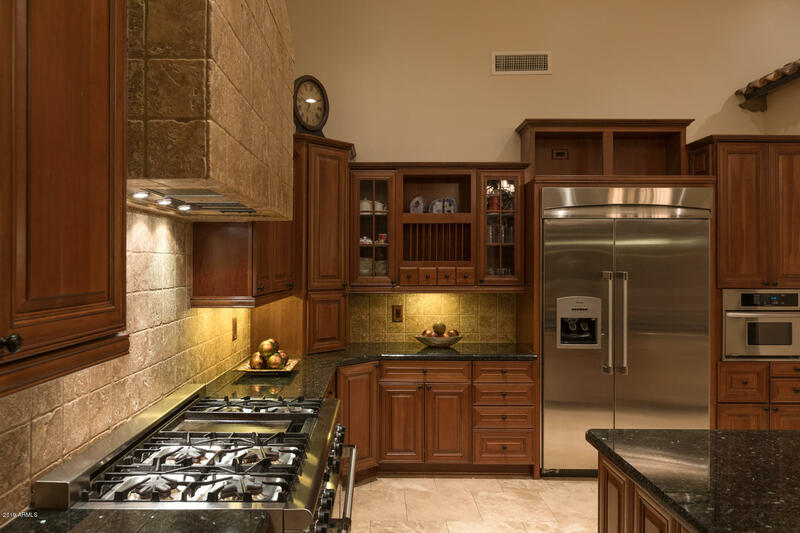 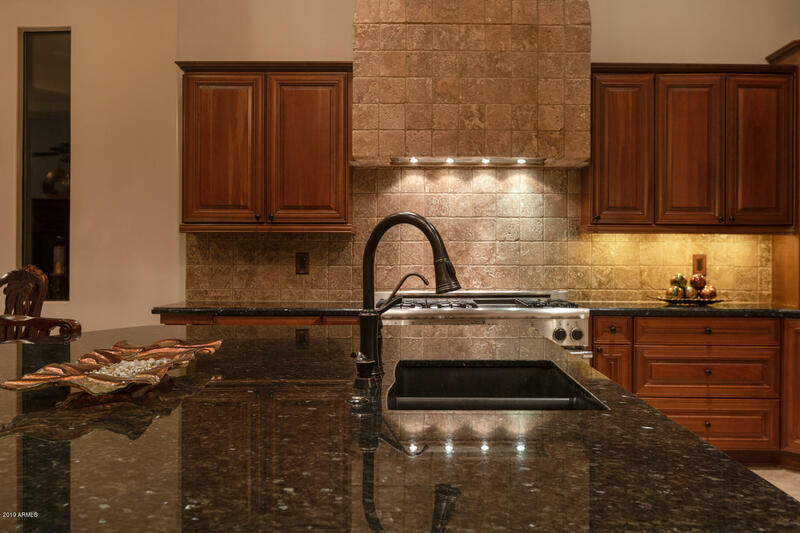 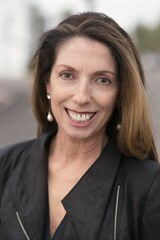 Spacious Gourmet Chef's Kitchen w/custom Cherry Cabinets, Granite & Professional-grade Appliances. 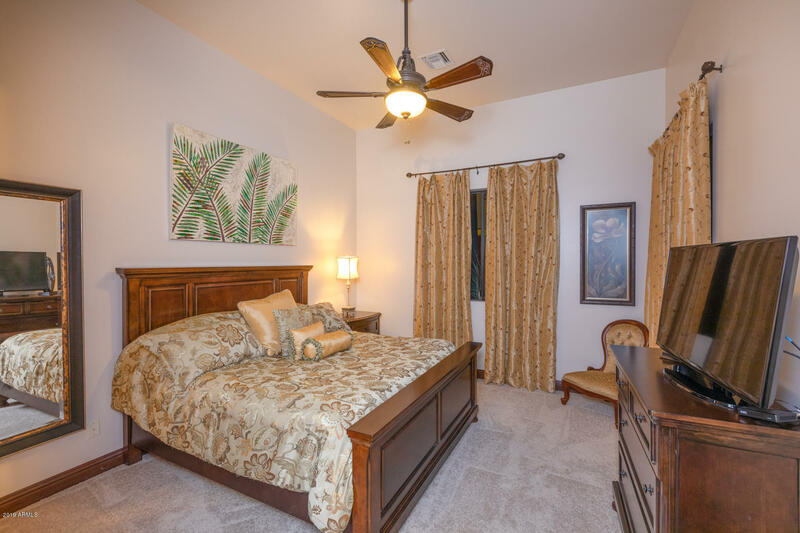 Large Family Room, Den, & Office w/built-ins. 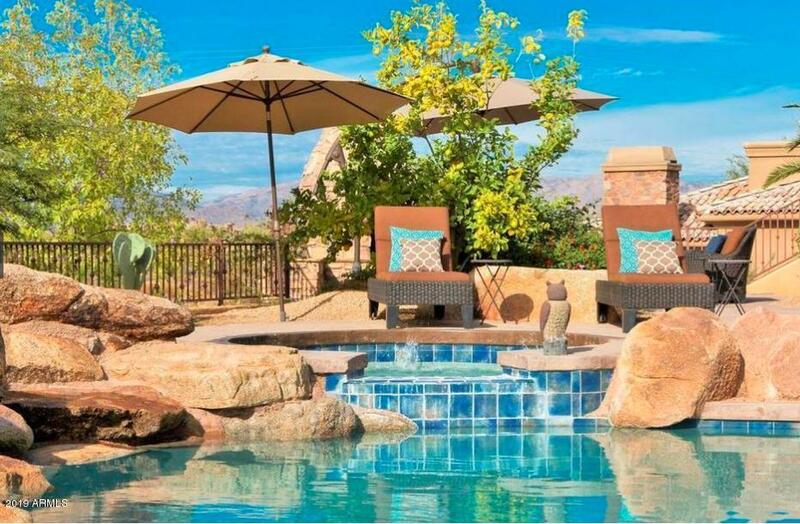 Resort-style Backyard w/covered Alfresco Dining Area.  Saltwater Pool/Spa, Water Feature, Stone Fireplace, Outdoor Kitchen & Putting Green. 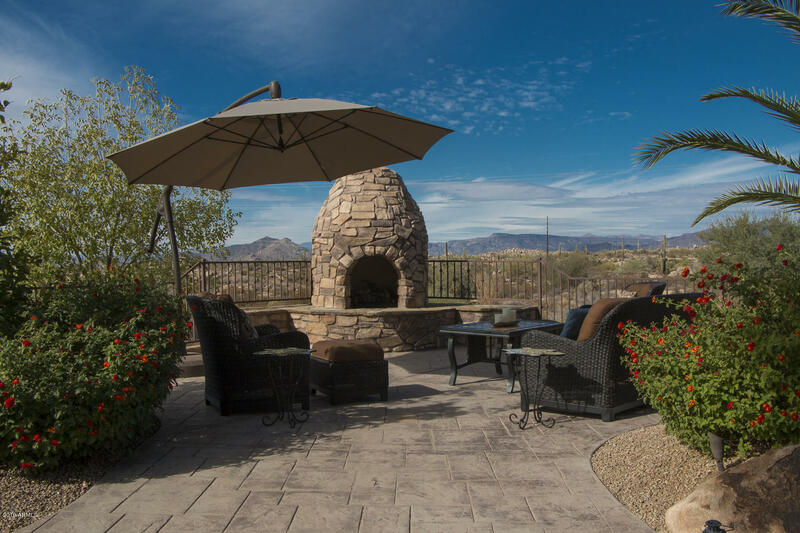 Beautifully-landscaped Backyard Featuring Fully-grown Palm Trees, Orange Trees, Lemon Trees, as Well as a Fresh Herb Garden.